Ground beef is the “Rodney Dangerfield” of the beef business. If you’re too young to know who Rodney Dangerfield is … Back in the 1980’s he was a comedian that “just don’t get no respect”. Ground beef doesn’t get the respect it deserves either. 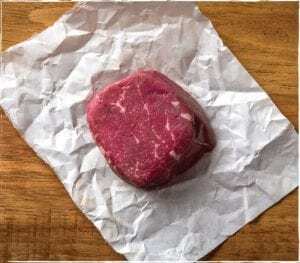 If ground beef doesn’t sell as fast as (or faster than) the rest of the carcass – which is the steaks – the steaks start to lose value … Here’s the tale of the butcher’s tape”. Popular steak cuts only make up about 25% of the carcass. That leaves approximately 75% of the carcass that needs to be moved as ground beef, roasts or similar. The average hanging beef carcass weighs approximately 850 pounds. By the time it’s boned, it drops to around 530 pounds … around 100 pounds of the 530 pounds ends up as steaks and the other 430 +/- pounds usually becomes ground beef. So, from a production perspective, it’s 4 times more important to sell ground beef than it is steaks. But that doesn’t mean that all ground beef is the same. Not by a long shot. The prevailing view of the retail market seems to be one of “ground beef is ground beef is ground beef” and it has to be that way for the beef industry to function. But it’s not that simple. There are numerous types of ground beef. We’ll dive into this a little deeper and break down some of the different types of ground beef and what makes them different and touch on some of the characteristics of each. The first thing to determine with ground beef is whether it’s “Fresh Trim” or “Aged Trim”. In the beef world, the term “fresh” means “has not been frozen”. 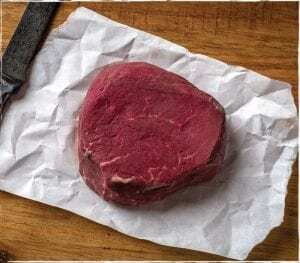 “Aged trim” has also never been frozen, but it is beef that’s been trimmed from the steak cuts, which are generally aged prior to being cut into retail steaks. “Fresh” trim has a longer shelf life than aged trim and it’s usually ground pretty quickly after the cattle are harvested, then its shipped out to distribution and retail who move it as quickly as possible. Fresh ground beef is good product and the system works well and is generally preferred by the food distribution system due to the increased shelf life when compared to burger made of aged or frozen trim. “Aged trim” is a little different situation. It comes from the trimmings created when steaks are cut. 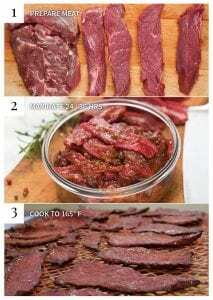 Most steak cuts leave the packer and distributor in what is referred to as “primal” form, which is the entire muscle group which is the raw material for steaks. 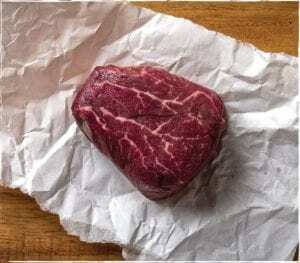 Most butchers and restaurants let these “primals” age anywhere from 2 to 6 weeks prior to cutting steaks as it improves tenderness and gives the steaks better flavor. The trim generated from the steak cutting process is aged the same as the steaks and has the same benefits of increased tenderness and better flavor … but, it needs to be cooked or frozen soon after grinding or it will spoil. There is a fair amount of trim created when cutting primals into steaks. Only 45% – 85%, depending on the primal, normally turns into steak, the rest becomes expensive aged trim. From a flow perspective, it’s important to keep fresh ground beef moving. Trim and other “grindable” cuts comprise nearly 75% of the useable carcass so it must be sold at a much, much higher rate than steaks. Steak trim, on average, is 30% of the total primal weight. OR about 30 pounds of aged trim versus around 430 pounds of fresh trim per animal, making aged trim much more scarce. It is believed by many that aged trim makes a better burger, but it requires a different process and there is much less of it, so it demands a premium price. Like our Angus/Wagyu Blended burger. It also needs to be frozen soon after grinding to prevent spoilage. All of these things add up to it being the perfect compliment to our line of premium, aged steaks. We produce fresh ground beef as well, but the majority of our fresh ground product goes out to our restaurants and our restaurant customers in bulk form. We operate on a much smaller scale than the big guys, but all the same math applies – there’s a lot of fresh trim to move and it needs to move fast. When one looks at ground beef on the world scale, it becomes very easy to see why ground beef and Filet Mignon are priced on opposite ends of the spectrum … 450 pounds of trim vs. approx 5 pounds of cuttable Filet Mignon on each animal. Other factors that are more important than one might think when discussing ground beef are things like the way it’s ground – single or double ground – the lean/fat ratio, and the temperature of the beef when it is ground. These are all very important considerations. Single vs double ground is easy to understand, single ground is more coarse, and double ground makes a little finer product. The temperature at which beef is ground is also very important. Slightly above freezing is best. Grinding beef at too high a temperature can lead to a phenomena called “fat out” where the fat in the blend separates from the meat and creates a greasy product. Which leads into one of the most mis-understood things about ground beef and we run into it often. That is “lean/fat ratio”. Conventional wisdom says “leaner is better”. Leaner ground beef does not necessarily make a better. or more healthy burger. In fact, the majority of restaurants that market a premium or gourmet burger are using ground beef with a lean/fat ratio of somewhere between 65/35 and 80/20. It takes an adequate amount of fat to make a great burger, just like it takes marbling to make a great steak. Many people believe the contrary to be true. If a burger does not have enough fat, it tends to be very dry, chewy and lacks flavor. Having enough fat helps to keep the burger juicy, tender and flavorful. Dietary fat is not a bad thing, in moderation. 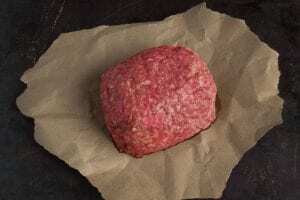 We hope this information sheds some light on ground beef and why there is so much of it on the market. We also hope it helps to understand the process of making ground beef and why its so important for beef producers to keep it moving … and why a little company like Nebraska Star Beef is able to do things that the big guys don’t when it comes to ground beef.